At DWHP Ltd we offer a wide range of high quality mechanical services. Please find below the complete list of services available, or click the links to the left to directly access the area you require. 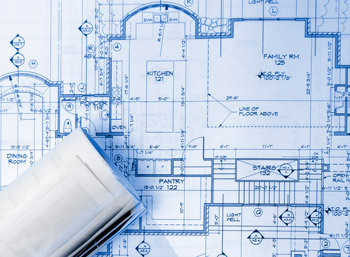 At DWHP we can design a tailor-made mechanical building services’ system to suit all needs. Whether you’re looking at a large domestic installation, or perhaps a more commercial or industrial project, we can provide you with the service you need to get the system you want. Our design service operates after contracts have been agreed, and all our design work is covered under our Professional Indemnity. 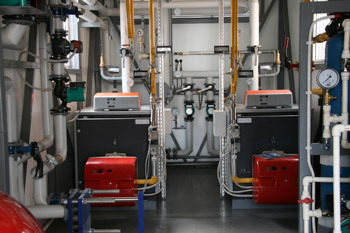 DWHP can offer design and installation of all the above heating products. Our works have taken us far and wide where we have been employed as contractors to install systems such as Under-Floor Heating, conventional Radiator Heating, Gas-Fired Air Heaters, Radiant Tube Heaters, and many more. Our recent contracts have included a wide variety of projects including small, medium, large and exclusive domestic dwellings, schools, offices, industrial units, car showrooms, and recreational buildings such as outdoor centres. By talking to you and understanding your heating needs, DWHP can design and install a system to match your exact requirements. For more information or a free quote please click here. 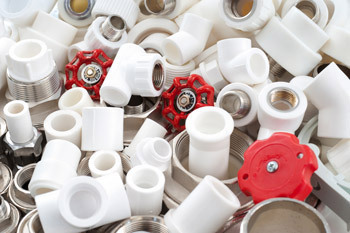 DWHP has vast experience in all plumbing systems. We design, advise and install all water services and associated plant. From large 1000ltr hot water cylinders to small 10ltr point of use water heaters we have the flexibility to install the correctly sized model for each project. Our sanitary ware installations range from high specification top of the range products to standard equipment designed for use in schools or public places. Rainwater Harvesting is a way of saving money on your water bills and re-using nature’s resources for use in the home or workplace. By collecting rainwater and holding it in underground storage tanks, it can be semi-cleaned and used to fill WC’s, supply washing machines, or even as an irrigation system. Obviously with water, comes waste. DWHP, as an experienced installer of waste removal systems, can provide all types of products for doing so. Traditional cast iron and time saver soil stacks, the new HDPE electro-fusion products, and the more conventional push fit and solvent weld plastic pipe work and fittings. All our water and waste services are pressure tested and witnessed before being put to use to prove their integrity and giving the end user complete peace of mind. At DWHP we install all major brands of Air conditioning and heat pumps. Air conditioning allows the end user the freedom to choose which atmosphere they feel most comfortable in. A choice can be made between Heating, Cooling, Automatic changeover, De-humidifying, and Fan-Only operations. A range of temperatures can be selected, typically between 17-32°C. Most of the air conditioning systems installed by DWHP Ltd incorporate ‘air-to-air’ heat pump technology. This enables the refrigeration cycle to operate ‘in reverse’, using energy from outside to produce useful heat which is then distributed to internal areas. These systems prove extremely reliable and energy efficient. There are no electrical or gas heating elements and unlike these conventional heating methods there is very little wasted heat. 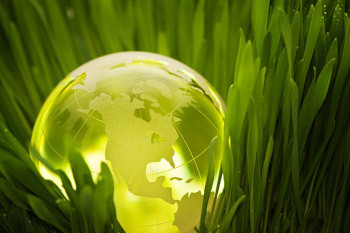 For every 1kW of energy used by a heat pump you can expect 3kW of usable heat to be produced. This saves a large amount on your energy bills and is considered, at present, to be one of the most environmentally friendly forms of heating. We can install systems ranging from a single split (designed for a single room’s use), to the multi split range (designed for several room’s usage), right through to the large heat recovery VRF/VRV range, which can simultaneously heat and cool different areas of large buildings. In doing so, these large systems can take heat out of warm areas and transfer it to those that are cooler, such as using a warm Server Room to heat a leaky Office for example. 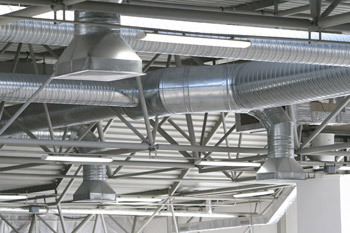 Ventilation systems can be designed to run in conjunction with air conditioning to give a fresh air supply if needed. Ventilation is a rapidly growing industry, with people wanting stale or fowl smelling air removed from their environment. New regulations are pushing the need for energy efficient ventilation systems that can extract such air while not removing valuable heat from within the building. With heat recovery units, this can be achieved by passing warm stale air from within the building over fresh air from external sources, via a heat exchanger or a heat recovery core as they are sometimes known. The two air sources never come into contact with each other, but instead pass over each other whilst remaining separated by a thin membrane. During this process, heat is extracted from the warm extracted air and picked up by the cool incoming air, which is then delivered to relevant areas. At DWHP we can design and install such systems to suit your requirements, along with the more conventional direct extract or supply ventilation. Solar panels, or collectors, are a way of harnessing the energy from the sun and using it to produce ‘free’ heat for hot water storage cylinders. Generally installed on roof tops, these systems will sense when the temperature of the panel is greater than that of the hot water cylinder. This then starts the circulating pump, passing heat transfer fluid through the panel and allowing it to pick up the additional heat. The fluid is then pumped down through a heating coil within the cylinder, which warms up the water stored within. This process is very cost effective once installed, as the only running cost is a small electrical supply to the circulating pump. At DWHP we can design and install such a system to suit your requirements. As well as the above services, DWHP also registered with F-GAS and the Environment Agency as an authorized de-commissioning specialist. This allows us to re-claim and safely dispose of all old refrigerant gas types, along with provide relevant documentation as proof of their proper disposal. From small domestic refrigerators to large multi-zoned air conditioning systems, we can make them safe for demolition or strip out purposes. All our systems are commissioned in accordance with the manufacturers’ literature and/or government legislations. We produce Operating and Maintenance manuals as standard on all of our projects, which contain such vital information as a complete list of all equipment installed, safety documents, record drawings, contact details, commissioning reports, service requirements, the manufactures literature and much more.